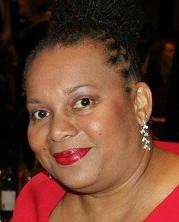 Tonya Couch-Jenkins is a Principal in the Yonkers Public Schools District. She is also a New York State Certified Elementary Educator. Her journey to get there has been a road worth traveling. She was educated in the public and private schools of Yonkers, New York. She went on to graduate from Syracuse University with a Bachelor of Science in Human Development majoring in Fashion Design. She has received a Masters of Science in Elementary Education from Iona College in New Rochelle, New York. Currently, she has achieved a professional diploma and a second Masters of Science in School Administration and Supervision from Manhattan College, Bronx New York. Graduating with high honors, she is a member of Kappa Delta Pi, an international education honor society. Since then Mrs. Couch-Jenkins has been actively working in the public and private sector of education for over nineteen years, in both Mount Vernon and in Yonkers. She serves as a New York State certified administrator with a SAS, SDA and a SBA. In the public sector, Mrs. Couch-Jenkins has been an Assistant Principal for seven years and a principal for one year. She has taught Pre-Kindergarten, Kindergarten and First Grade in Yonkers, New York for fifteen years. She has received certified Foxfire training, as well as, completion of the New York State Reading Academy Professional Development. Mrs. Couch-Jenkins has been an educator at the Foxfire Elementary chool since its inception over fourteen years ago. She continues to play an intrical part in organizing school-wide multicultural events. In 2004, a historic milestone in education was reached at Foxfire. The entire Foxfire staff was honored as proud educators who demonstrated more learning, for more children in more ways. As a result, the Foxfire Elementary School was bestowed with the Pathfinder Award for 2004. In the private sector, she is co-founder of the IMANI Cultural Academy, Incorporated in Mount Vernon, New York and has served ICA as the Executive director for the past 23 years. It is an after school program that equips students to achieve academically, physically and culturally. She has also served as the Executive Director for the past eighteen years. She continues her quest for excellence by a life-long learner. Click here to learn about IMANI Cultural Academy's After School Program.